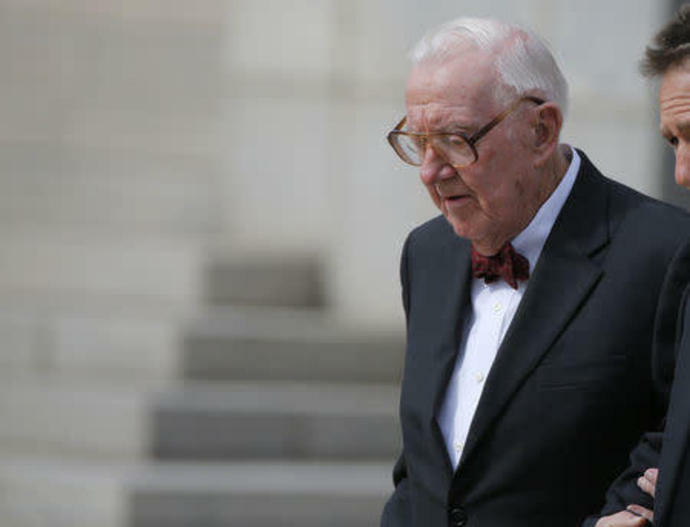 (Reuters) - Retired U.S. Supreme Court Justice John Paul Stevens said on Thursday that Supreme Court nominee Brett Kavanaugh does not belong on the high court because of "potential bias" he showed in his recent Senate confirmation hearing. Speaking to an audience of retirees in Boca Raton, Florida, Stevens, 98, said he started out believing that Kavanaugh deserved to be confirmed, "but his performance during the hearings caused me to change my mind." Stevens cited commentary by Harvard University law professor Laurence Tribe and others suggesting Kavanaugh had raised doubts about his political impartiality when he asserted that sexual misconduct accusations he faced stemmed from an "orchestrated political hit" funded by left-wing groups seeking "revenge on behalf of the Clintons." Kavanaugh also testified last week that allegations against him were being fueled by "pent-up anger" over the 2016 election of President Donald Trump, who nominated Kavanaugh to fill the Supreme Court vacancy created by the retirement of Justice Anthony Kennedy. In a Wall Street Journal op-ed on Thursday, Kavanaugh said he "might have been too emotional at times" in his testimony. Kavanaugh wrote that his testimony "reflected my overwhelming frustration at being wrongly accused." Some critics have argued that Kavanaugh's highly partisan remarks so compromised his ability to appear politically fair-minded that he would be forced to recuse himself on many cases to preserve the court's integrity. Stevens said he, too, has come to believe that Kavanaugh, a U.S. appellate judge, "demonstrated a potential bias involving enough potential litigants before the (high) court that he would not be able to perform his full responsibilities." "I think there's merit in that criticism, and that the senators should really pay attention to it for the good of the court. It's not healthy to get a new justice who can only do a part-time job," Stevens said. Stevens acknowledged praising Kavanaugh and one of his rulings on foreign campaign contributions in his 2014 book "Six Amendments: How and Why We Should Change the Constitution." Stevens went on to say that his change of heart on Kavanaugh's fitness for the high court was "for reasons that have really no relationship to his intellectual ability or his record as a federal judge. He's a fine federal judge." Asked whether questions raised about Kavanaugh's credibility during the hearings should be disqualifying, Stevens said, "Not necessarily." Stevens also said political leaders and the court have failed to repair the nation's confidence in the judicial branch's separation from the president and the legislature. "I think it's worse, I regret to say it," he said. The U.S. Senate is scheduled to vote on Kavanaugh's confirmation on Friday.